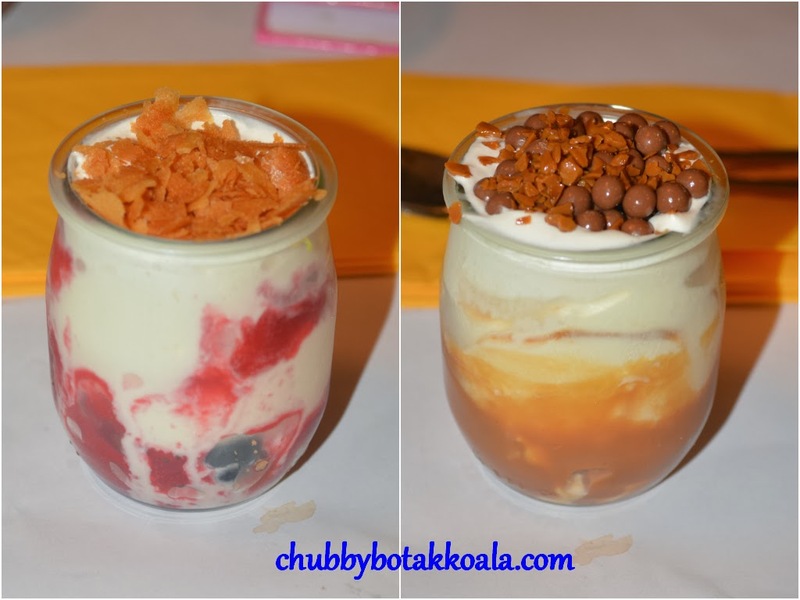 Chubby Botak Koala - Singapore Food Blog, Travel and Lifestyle: [CLOSED] &Made by Bruno Ménard – Every Day Food the Gourmet Way! [CLOSED] &Made by Bruno Ménard – Every Day Food the Gourmet Way! &Made is the brain child of Chef Bruno Ménard, a 3-star Michelin Star Chef with Olivier Bendel, founder and CEO of Deliciae Hospitality Management Pte Ltd. The hospitality group responsible for F&B concept such as L'Entrecôte, Forlino, Sabio and 83 Club Street. At &Made, you can see informal food such as salad and burger, however do expect Chef Bruno to pay special attention to the ingredients use and homemade condiments straight from Chef Bruno recipe book which are made daily. Our friend G has a sudden burger cravings. 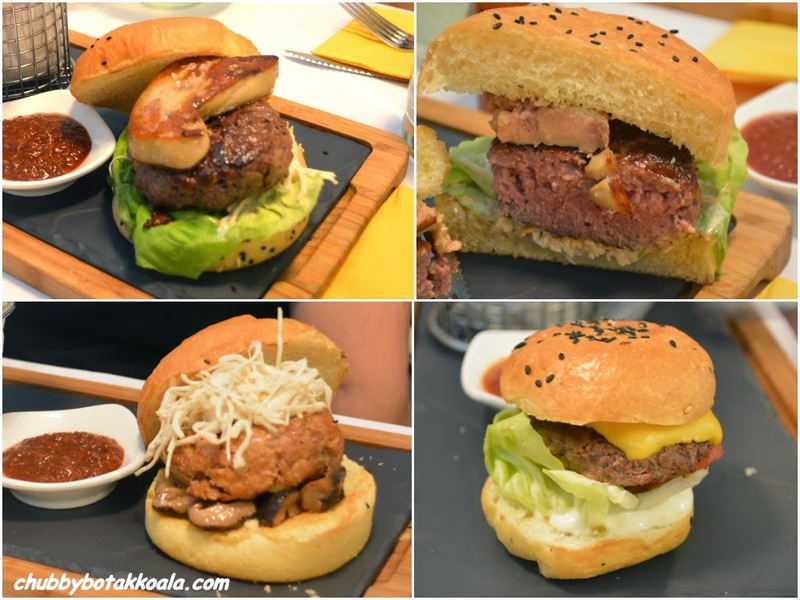 So after scouring the web for artisan burger in Singapore, &Made name keep popping up. To be honest, this is our second choice, however as the first choice establishment closes on Sunday, we move on next on the list. As &Made does not take reservation, we decided to come in early, just in case there are a queue. Luckily, there was no queue and we were seated immediately. G & I decided to order The 3 Little Pigs ($23), Little Devil ordered The Rossini ($28), G's hubby, 'H' ordered The 'B' Burger Lunch Set and Little C have Mini Beef Cheeseburger ($10). The 3 Little Pigs are made from combination of pork fillet, bacon and chorizo patty. Inspired by Japanese flavour, it is topped with spicy yuzu-kosho mayonnaise, shiitake and cabbage. The patty is tender, juicy and quite generous in size. While the spicy yuzu mayonnaise give a subtle kick when you bite into the burger. The brioche bun has the nice texture and flavour to complement the burger. This pork burger is definitely comparable the beef counterpart. Each of the burger come with fries and homemade BBQ Sauce. LD's Rossini is actually in a different class compare to ours. The dry aged beef patties are topped with French pan seared foie gras. It might look very simple but when you bit into it, the perfectly cooked foie gras just melts in your mouth and become the delicious creamy sauce for the beef patties. A definite must try, Yummy!!! For the set lunch, it came with salad and sundae. The salad is quite a simple garden salad with a vinaigrette dressing. The comment from H about his burger is quite good, while little C enjoyed her Mini Cheeseburger. The sundaes are delicious, as both sundaes are polished clean by the father and daughter. While the burgers are delicious and a must try, there are consistency need to be address. We actually send back two of the fries as it were overcooked. Taste wise, it is quite ordinary and lose its crispiness before the end of our meal. The &made BBQ sauce does help on enhance the flavour though. The drinks can be on the pricey side, however the taste is quite good especially on the &Made Lemonade ($8) and Iced Choco Coffee ($8). The service side needed some improvement. Although the service staff are polite, it seems they are out of their depth and inexperienced. When we want to change the drink in the set menu, different staff give different answer on the additional charge that we need to pay. When we asked for ketchup from one of the service staff that deliver the burger, he answered “we don't serve ketchup, we only have homemade tomato sauce!” A very informative answer but might lead to a misunderstanding such as putting down the customer. Ambiance of the restaurant is French, bright, fun and playful. My first impression remind me of one of the scene from the Movie Moulin Rouge (starring Nicole Kidman and Ewan McGregor). There are the options of indoor and outdoor seating as well. Overall, we really enjoy our dining experience with Chef Bruno burgers creation. We just hope that it can be more consistent in its delivery and service. We look forward to our next visit here to try his other creation such as his waffle and desserts. Cheers! !